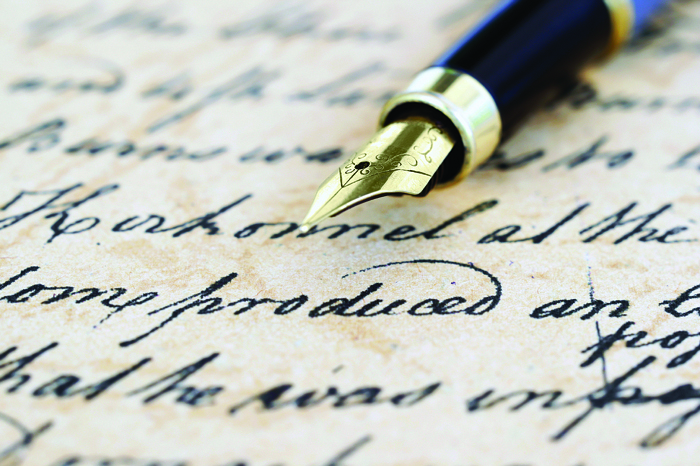 A recent ABC News report suggested that cursive handwriting is becoming increasingly irrelevant. Students rarely use or practice this once standard form of communication. In fact, one high school principal suggested that cursive may become a skill students must learn outside of the classroom because schools are focused on “real-world” job related skills involving technology. However, not everyone is willing to abandon this basic building block of education. Lawmakers in Concord, N.H. passed a bill requiring public schools to continue teaching cursive. The bill’s sponsor advised teaching cursive will allow students the ability to read historical documents, such as those created by our founding fathers. “It’s the last form of personalized communication,” said Neal S. Frank, owner of Santa Fe Pens in New Mexico.With passion and self-interest, Frank is teaming up with local calligraphy and cursive teacher Sherry Bishop to revive the art of good penmanship.